If Internet Explorer crashes often or gets painfully slow, resetting its settings may help. Resetting IE deletes all personal settings and restores the browser to the state right after installation. Internet Explorer will now start with default settings. 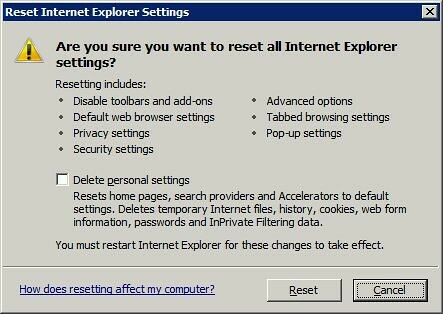 If opening IE still doesn’t work properly, you can retry the process, but check the “Delete personal settings” option. Tip: You don’t want to enter the command manually? Download the corresponding FixIt solution from Microsoft’s website at support.microsoft.com/kb/923737.